We traveled to the stunning Atlantis Bahamas Resort to film Olivia and Fiesky’s destination wedding. This was an amazing opportunity and definitely a dream realized for our company. 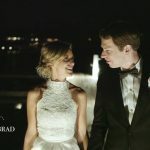 It is such an honor when a couple and their family trust you to travel to a gorgeous destination outside the country to document their wedding. Olivia and Fiesky are really a special couple and we had the privilege of filming a love story for them and really getting to know their relationship. 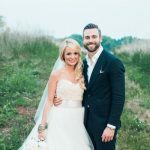 They are a wonderful example of two lives becoming one through marriage. Fiesky has adopted Olivia’s passion for loving and caring for animals (especially dogs) of which they foster several right now. He has also come to love Clemson football and embraced a vegan diet! 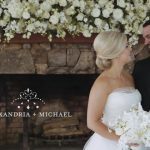 Our favorite moments from their wedding day were the beautiful location, their first look, the personal vows they exchanged, and the gorgeous decor and details.